We all know The Colony is a great community. It serves many purposes, but it is especially a great place and location to raise kids just outside of Dallas and Fort Worth. Because it is a great community, there are lots of families who live here. An unfortunate result is kids going to school and the possibility of lice being shared. The Colony lice treatment then becomes a priority. If your child gets lice at one of The Colony’s schools, one “do” is to seek out the help of Lice Lifters DFW. This team, located at our Frisco treatment center, will ensure a thorough wash. Afterward, we make sure to send you home with an all-natural treatment. If your whole family follows the regimen, the lice will go away. The “don’ts” of The Colony lice treatment include expecting lice to go away on their own. Also, don’t expect an over-the-counter pesticide to work on lice that have already become immune to that formula. It seems like most children are born with a fear of any sort of medical treatment. Most kids hate shots and taking medicine. At Lice Lifters, we fully understand this fear that so many children hold. You see, we are parents too. We went through the exact same feelings with our own children before. When head lice strike, however, you want treatment, and you want it fast. We have designed our head lice treatment in The Colony to be completely safe and simple. You won’t find any shots, nor discomfort for your kids, at our office. Most children have never dealt with head lice. They may not fully understand the situation, nor the itch they’re currently feeling. You, as the good parent, want to find a solution fast. 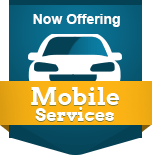 Give us a call and we’ll schedule an appointment for you. Once you’re in our office, you’re in good hands! Head lice are small – about the size of a sesame seed – and live in the hair on your head. They feed off the blood from your scalp and tend to spread relatively quickly. Lice are extremely contagious. The most common head lice infestations usually spread in schools, amongst preschool and elementary school-age students. These kids tend to play together closely and share their items often. Once a child acquires head lice, they usually bring it home to their families. From there, it’s a vicious cycle that spreads amongst family members and friends. To treat an infestation, you must treat everyone in the house – otherwise, you risk everyone acquiring head lice for a second time. At Lice Lifters, we have experience treating head lice infestations throughout the region. Head lice are treatable with proper help. You may reduce the risk of reinfection by cleaning the house and avoiding contact with an infected person. 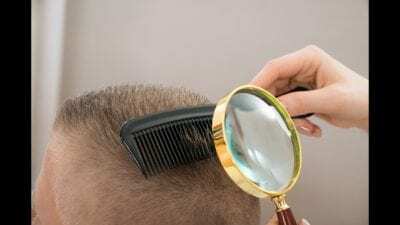 Head Check – During the head check phase, we scour your scalp for nits, nymphs, and adult lice. If we find evidence of a head lice infestation, we move on to the next step. If not, then you’re free and clear! Comb-Out – A thorough comb-out using a micro-grooved comb helps remove stubborn nits from the hair shaft. The process takes around an hour and a half, depending on hair length and severity. All-Natural Killing Agent – The Lice Lifters Lice Solution Treatment contains zero pesticides or harmful chemicals. We apply our killing agent under a super-chic shower cap, and then you’re sent home! Treatment for head lice is typically safe when used as directed. However, many over-the-counter treatments tend to increase itching and cause mild burning due to inflammation of the scalp. Many common lice medications, such as those found in drugstores and supermarkets, generally contain harmful chemicals and pesticides. Pesticide exposure is worse for children. If your child has asthma, or if they have scratched incessantly and broken the skin, you’ll want to avoid over-the-counter treatments. So, when it comes to a permanent treatment solution for head lice, always opt for professional help. At Lice Lifters, we utilize completely safe, non-harmful products designed to treat head lice quickly. It takes just one treatment in our office to solve your head lice troubles. We’ll send you home with a few follow-up instructions designed to keep you and your family lice-free for the foreseeable future. Of course, if you have any questions, we’re always here! In The Colony, as much as we wish this were not true, no one is immune from lice and nits. Since this is a growing community, it is just a fact of life. Make sure you enlist the help of the Lice Lifters DFW team. We are here to help with all The Colony lice treatment. Contact us today: 972-805-1308.